Cape Fox Corporation was prey to some of the worst abuses in a system that gives Alaska Native Corporations access to no-bid government contracts of unlimited size. As federal contracting grew, benefits went to non-native consultants instead of providing jobs, dividends to natives. Dec. 17: This story has been updated. SAXMAN, Alaska -- When the oil boom came to Alaska, Congress promised new economic opportunities for native peoples like the Cape Fox Tlingit. 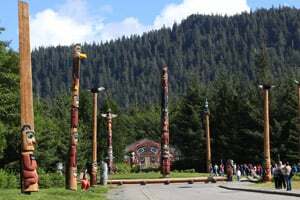 The Tlingit had wrested a subsistence life from the harsh coasts of southeast Alaska for thousands of years, only to see their villages destroyed, their resources exploited and their population wiped out by disease when white settlers came in the 19th century. In 1971, Congress passed a law intended to right the historic wrongs and compensate natives for construction of a new oil pipeline through their ancient lands. The legislation allowed tribes and villages to form Alaska Native Corporations that would build businesses and pay cash dividends to the native shareholders. In the 1980s, Congress gave the ANCs special privileges in a federal program that sets aside contracts for small minority businesses. Through the program, ANCs have received more than $10 billion in federal contracts in the last two years alone. A ProPublica investigation found that very little benefit from these contracts has trickled down to native shareholders. Instead, much of the money has ended up in the hands of outside contractors, consultants and Washington lobbyists who earned generous compensation for themselves and, in some cases, for their families. 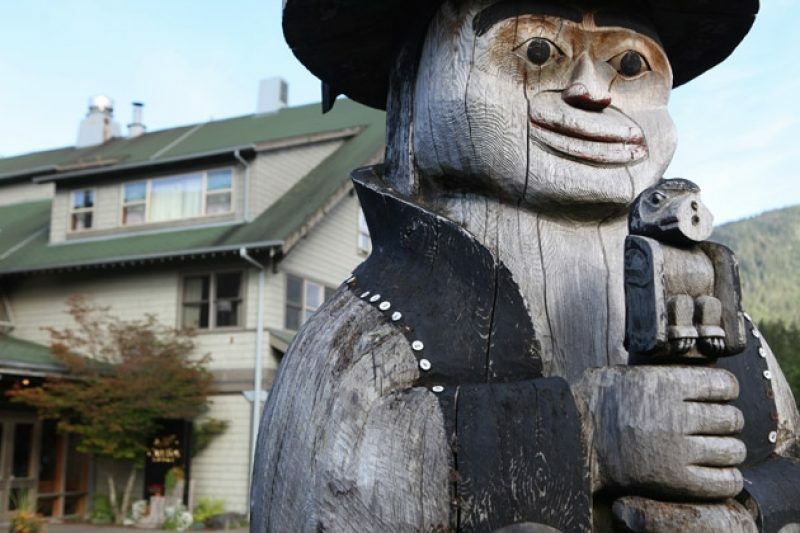 Perhaps nowhere have the abuses been more startling than in Saxman, where the Cape Fox Corporation represents 300 Tlingit natives. While other ANCs have been taken advantage of by one consultant or in a single subsidiary, lawsuits, investigations and audits allege fraud and self-dealing in five of the seven companies Cape Fox had in the program. 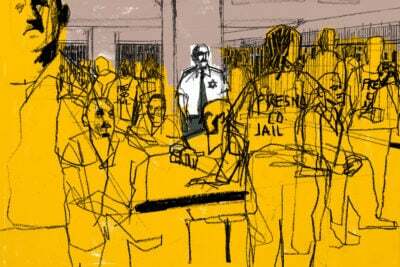 Cape Fox's experience shows how outsiders can easily co-opt the privileges afforded to ANCs, siphoning off large sums from taxpayer-funded contracts for themselves. The natives had almost no involvement or oversight of the companies. And when they went to regulators seeking help, they were turned away, told that the law didn't allow the agencies to intervene. A new analysis by ProPublica quantifies the extent to which ANCs have come to benefit from the minority contracting set-asides, which are part of the Small Business Administration 8(a) Business Development Program -- a civil-rights era effort to help businesses gain experience. While contracting dollars to 8(a) firms grew nearly fivefold from 2000 to 2009, money to ANC companies in the program increased more than twentyfold -- from $280 million to $5.7 billion -- thanks to a rule that allows them to obtain no-bid contracts of unlimited size. Where they once accounted for just 5 percent of the contracting dollars, they now make up 22 percent, even though there are only 100,000 Alaska natives in the United States. A few years ago, Cape Fox seemed like one of the effort's biggest successes. Government agencies have awarded its subsidiaries more than $600 million in contracts repairing military bases, providing doctors to hospitals and teaching Marines how to ride motorcycles. In just five years, from 2003 to 2008, revenue increased from $8 million to more than $200 million. Those contracts earned outside consultants to Cape Fox millions in fees. But in Saxman, the federal dollars brought few jobs, no increase in the regular $20 per share dividend, millions of dollars in debt and a federal criminal investigation by the Defense Department. A ProPublica review of Cape Fox's annual reports found that from 2003 to 2008 the corporation lost $1.2 million. The annual reports aren't public, but ProPublica was able to obtain them along with resolutions, meeting minutes and internal reports. ProPublica also reviewed thousands of pages of court records from Virginia to Alaska. Taken together, the documents tell a story of how everyone seemed to benefit from the Alaska native contracts except the Tlingit natives. What has been most striking about the failings of the ANC program is its imperviousness to reform. Over the years, a stream of reports by government auditors, congressional investigators and most recently The Washington Post chronicled how outsiders have capitalized on ANCs. Each time, proposed reforms were derailed. But little has been done to address the problems. Statistics gathered by a Senate subcommittee last year show that the average shareholder receives just $615 in benefits a year from the contracts. Even among those stories and reports, the Cape Fox Corporation stands out. In one instance, a California businessman amassed a portfolio of construction companies in the names of relatives and friends and reaped hundreds of millions of dollars in contracts, charging Cape Fox with $16 million in consulting fees. In another, an audit found that the non-native manager of a subsidiary in Manassas, Va., used money made in Cape Fox's name to pay 90 percent of his consulting firm's expenses, buy condominiums and pay salaries to his wife, parents, daughter and others. And in Virginia, a jury recently concluded that consultants with a history of making money from ANCs had used a Cape Fox health-staffing firm to improperly enrich themselves. Once again, despite what seemed like good intentions, the Alaska natives were left behind. 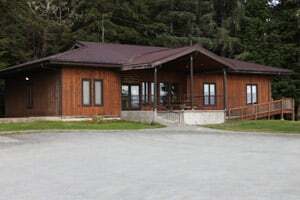 On an August afternoon, the granddaughter of the last chief of the Cape Fox Tlingit tribe peered through the window of an empty, red-and-beige building off the South Tongass Highway. She stepped back on the gravel drive and took a drag from a Camel 99. "This is where our shareholders are supposed to be trained in information technology and putting things together and getting good-paying jobs and their lives are supposed to improve," said the woman, Marilyn Blair. The building planned as a technical center now stands as a monument to the failures of their government contracting venture. "Those 8(a)s were supposed to make us rich," Blair said. "You say we're making $250 million. Where does it go? It sure doesn't go into Cape Fox shareholder pockets. It goes into the salaries of the people who run the 8(a)s and then all the monthly expenses and loans. By the time that's done, there isn't anything left. The native village of Saxman sits on the south end of Revillagigedo Island, squeezed between an inlet filled with salmon and sawtooth peaks carpeted with cedar and spruce. 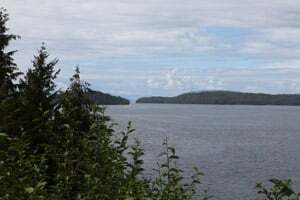 It's a few miles down the road from Ketchikan, location of the "Bridge to Nowhere" project that became an infamous symbol of congressional earmarks. During the summer, cruise ships tower over downtown Ketchikan. 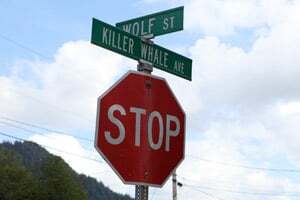 But beyond the totem poles that attract visitors seeking the native culture is a neighborhood of federally subsidized homes with street names like Killer Whale Avenue. When the U.S. Census Bureau last surveyed Saxman in 2000, unemployment was 26 percent, and only 9 percent of residents had bachelor's degrees. The economy looked even grimmer as the hemlock and spruce timber, Cape Fox's main source of revenue, began to run out. Over the years, the corporation's native board members watched other ANCs rack up government contracts worth hundreds of millions of dollars. Some board members pushed Cape Fox to follow that course. To lead them, they brought in a new CEO. His name was Bruce Borup. Borup appeared to have the ideal background and personality for their new venture. He was confident, easy-to-like -- a business professor at Alaska Pacific University. He had a law degree, a master's in marketing and a Ph.D. in business administration. Among his references of university colleagues and former consulting clients were the CEO of Chenega Corp., a successful ANC, and a "former mayor, city of Wasilla" -- Sarah Palin. "Saying Mr. Borup was hired with some very high expectations is an understatement," board Secretary and Treasurer Clifford Blair, the brother of Marilyn Blair, later recalled in statement to investigators. Borup came on board at the end of 2002 and quickly found opportunities for getting into government contracting. 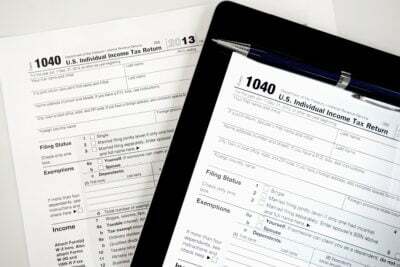 SBA rules limit business owners to a single company in the 8(a) program. But ANCs are an exception. They can create as many companies as they want as long as each subsidiary is in a different line of work. Borup took full advantage, spawning company after company. There was one basic requirement put in place to prove an 8(a) company stood a reasonable chance of success: It had to have been in business for at least two years or show it was run by experienced managers. Cape Fox tried both approaches. Both ended disastrously. Borup began by creating a new company -- Cape Fox Professional Services. To qualify for contracts, it needed a leader with a track record, so he hired a general manager named Clinton Hess. The resumé Borup provided to the SBA for Hess appeared impressive. It said he had been a finance manager at a credit union, a financial analyst for a bond manager and a portfolio manager at Alaska Pacific University. But when Hess came in to fill out his paperwork at the small wooden lodge that serves as Cape Fox's headquarters, his application told a very different story. Instead of finance manager, he was a financial analyst. His job as a financial analyst was actually an internship. At the university, he said he had been a teaching assistant. Hess in fact was Borup's former student. Hess said he had no idea who prepared the resumé but said it wasn't him. Borup said in a letter to ProPublica that "changes were made to the resume to better correlate the applicant's educational and work experiences to an appropriate job title." In late 2003, the SBA accepted Cape Fox Professional Services into the 8(a) program, and Borup brought in a new leader for the firm -- a consultant named Byron Van Epps, who had offices in Manassas, Va., and Greenville, N.C., and was given the title of CEO. Van Epps was a former vice president at Computer Sciences Corporation, IBM and Lockheed Martin, all major government contractors. Most recently, he had been vice president of an information technology firm owned by an ANC. With his military contacts, Van Epps helped Cape Fox win multimillion-dollar contracts manufacturing machine-gun mounts for the Army, renovating the Pentagon and teaching Marines how to ride motorcycles safely. Borup "looked like a miracle worker," Clifford Blair wrote. Cape Fox had little money to start its own companies. But Borup found companies in which Cape Fox could buy a stake for barely anything up front. Among those was Arctic Pipe & Materials, a startup in Anchorage that hoped to sell pipes for the oil industry and municipal utilities. The company was in its infancy. Just a few months earlier, it had won the Alaska Pacific University business plan contest, a competition Borup helped organize. The company beat out a submarine sandwich shop whose slogan was "gourmet subs as fresh as an Alaskan glacier." Arctic Pipe had several partners in the new venture. A few months later, the other investors reported that one of them had allegedly embezzled $18,000, about a third of what Cape Fox had invested, according to Cape Fox's 2003 annual report. Despite this early stumble, the government accepted Arctic Pipe into the 8(a) program, and Borup appointed southern California businessman Craig Jackson to take over the company. Jackson seemed an apt choice. He had won awards from the SBA for his previous work with the minority contracting program. Arctic Pipe changed its name to APM, and Jackson turned its focus to military base renovations. From such humble beginnings, APM quickly became one of the SBA's biggest 8(a) firms, with contracts on more than a dozen military bases from Eglin Air Force Base in Florida to Travis Air Force Base in California. Year after year, it booked tens of millions of dollars in revenue. With money from Jackson's operations and other 8(a) contracts, Cape Fox Corporation (CFC) appeared to be flourishing, racking up $20 million in revenue in 2004, $38 million in 2005, $55 million in 2006, $60 million in 2007 and in 2008, $224 million. The corporation assembled a portfolio of 19 companies in disparate lines of business: health staffing, tourism, wholesale distribution, aerospace, top-secret technology work and a shopping center anchored by a deli and a taxidermy shop. "At a time when CFC was hurting for money, 'coming back with a check'— it made it look like everything Mr. Borup was saying was the truth and everything was going to get nothing but better," Clifford Blair wrote in the Air Force statement. Some board members began to wonder why, with 8(a) revenues growing so fast, profits and jobs didn't seem to follow. But Borup convinced them the plan was on track. Because ANC subsidiaries are often located outside Alaska, native people rarely do any of the work. A congressional investigation last year found that about 5 percent of ANC employees are shareholders. Borup had a solution. To bring jobs to the local shareholders, he planned to build a technical and training center in Saxman. The center would also be a hub for manufacturing and assembly of products made by subsidiaries elsewhere. Cape Fox's foundation won a $1.5 million federal grant, and Cape Fox and other private companies chipped in matching funds. It would be called the Multi-Use Technology and Training Center, or the MUTT. As 2007 turned to 2008, it seemed that Borup had kept the promise he made in his first letter to shareholders in 2003: "When we are finished, we will have created something great that will last and be respected for many, many generations." In Washington, D.C., a team of investigators at the Air Force and the SBA inspector general's office was slowly unraveling why Cape Fox showed so little profit. They focused on the paperwork filed by Craig Jackson and APM. Those documents, and others they uncovered as the investigation broadened, showed that Jackson controlled a virtual empire of small business contractors. According to investigators, he and his companies bypassed SBA rules and won contracts intended for fledgling construction firms. The deal worked like this: Jackson and Cape Fox were partners in APM. But because Jackson had already participated in the SBA program, he was limited to how much he could own of another 8(a) company. So, he sold his stake to Cape Fox. APM then entered into management agreement with his consulting firm in exchange for 45 percent of APM's profits. His brother was appointed CEO of APM. These maneuvers, the Air Force says, allowed Jackson to keep the same financial interest and management control while appearing, on paper, to have complied with SBA rules. As the investigators looked more closely at APM, they found that it had signed a financial services agreement with Jackson's engineering firm and a marketing agreement with a firm run by his sister. But when Air Force investigators interviewed Jackson's sister, an elementary-school principal in Virginia, she told investigators she just deposited checks and forwarded mail to Jackson. "All I know is I am the president and I think Craig is the vice president. I must say I am not completely sure if Craig is the vice president," she said, according to an interview transcript. "I do not really know what the company does or has done." Craig Jackson, who has not been charged with a crime, did not return calls for this article, and his lawyer declined to comment. As the board began asking questions about financials and word percolated that Cape Fox was under investigation, Borup went on what he called "terminal leave." The board brought in consultants to conduct its own audit of the books. They discovered that Jackson had charged Cape Fox with $16 million in fees, according to a lawsuit Cape Fox filed against Jackson. An SBA audit noted that Jackson's firms received another $4 million for subcontracted labor. As it audited Cape Fox Professional Services -- the subsidiary run by Van Epps -- Cape Fox discovered what it described in a lawsuit as numerous acts of self-dealing. In addition to his $200,000 bonus and $28,000 housing allowance in 2008, Van Epps had charged Cape Fox Professional Services with 90 percent of his consulting firm's expenses. Van Epps paid himself a salary of $213,000. His wife earned $130,000. Also on the company's payroll were his daughter, ex-wife, adoptive parents, wife's best friend and the friend's husband. Van Epps' consulting firm, American Management Group, bought condos in Greenville, N.C., and Manassas, Va., using money it borrowed from Cape Fox Professional Services. Van Epps' firm also used company money and resources for another technology firm he ran and a separate venture hoping to get 8(a) contracts to rebuild Sudan. In the lawsuit, filed in Alaska state court, Cape Fox's lawyers said the consulting firm was "simply the conduit" for Van Epps to "funnel money" to himself. Van Epps declined to comment for this article. But he disputed the portrayal in court filings. He said some of the investments were bookkeeping errors. The condos were an attempt to save money on hotels when employees visited the main offices. The real estate was in the consulting firm's name because Cape Fox wouldn't sign for the loans. "I categorically reject CFC's accusations of self-dealing," he wrote in an affidavit. "In order to build CFPS and achieve the results we have attained, my wife and I have had to mortgage our personal home three times." In 2007, Van Epps also built a second home -- 3.5 times the size of his first house -- in Greenville, N.C. In October 2009, the lawsuit settled. Cape Fox bought Van Epps out for $2.5 million in exchange for control of Cape Fox Professional Services. As Cape Fox reviewed the books, more and more of the story came together. There seemed to be a pattern in which non-natives from the Washington, D.C., area and elsewhere gained control over Cape Fox subsidiaries in exchange for the Alaska natives' unique access to no-bid contracts of unlimited size. 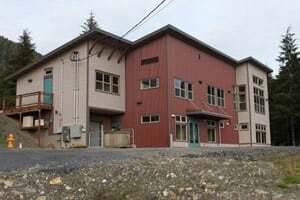 Investigators from the SBA's inspector general were also looking into a consulting agreement between Suresh Doki, a Chantilly, Va., businessman, and a Juneau ANC. The SBA's critical findings prompted Cape Fox to look more closely at its deal with Doki, whom they had hired to manage its health staffing company. That review turned up some disquieting news. Dave Moran, a consultant hired to bring Cape Fox's finances under control, discovered that the native corporation knew little about Doki's transactions. In the year and a half Cape Fox owned the health-staffing company, it received no financial reports. "As partial information began to trickle in, I was shocked to discover an overall situation that represented extremely sloppy accounting, inaccurate and incomplete financial reports, transactions that were not supported with proper backup and a significant volume of 'self-dealing' activity," Moran wrote in a statement provided to Air Force investigators. Cape Fox's subsidary and Doki's consulting firm sued each other. The native corporation said Doki had used Cape Fox's name to obtain no-bid contracts for a company he controlled. Doki's lawyer said Borup had proposed a hands-off management structure. In October, a jury in Alexandria, Va., found that Doki's consulting firm had unjustly enriched itself and ordered it to pay Cape Fox $850,000. As it reviewed the records of its other subsidiaries, Cape Fox found that an Oklahoma consulting firm specializing in helping Indian tribes get contracts had taken out a $4 million line of credit to help Cape Fox build new businesses. But the firm used the money to pay itself $1.1 million in management fees. The two managers also paid themselves $8,000 a month for part-time work and a $100,000 bonus at the end of the year, Cape Fox alleged in a lawsuit. A manager of the consulting firm said the allegations "had no merit," and the suit quickly settled. In September 2009, the Air Force suspended Jackson, APM and another Cape Fox subsidiary -- 1CI, run by Jackson's cousin -- from receiving government contracts. Evidence "appears to support" potential charges of mail fraud, wire fraud and false statements, according to an Air Force Office of Special Investigations memo obtained by ProPublica. No charges have been filed. As the criminal investigation into APM widened in late 2009, the Air Force suspended Borup from federal contracting. According to the order, "Borup implemented a business model for the ANC's government contracting companies that involved seeking out business partners who would be given complete management control of the government contracting companies, the obligation to provide financing to the government contracting companies, and in return, the business partners would receive a substantial portion of the revenue from the government contracting companies." Borup did not respond to requests for an interview, but he sent two letters to ProPublica in response to written questions. In the letters, he said that Cape Fox's lack of cash left him with few options to get into government contracting. So, he shifted the risk to the non-native partners he thought were experts in their fields and, in return, gave them "commensurate" compensation and control. "Of course I made mistakes during my tenure as CEO, but every action I took or did not take was in good faith for what I thought was the benefit of Cape Fox Corporation," Borup wrote. The Air Force also threatened Cape Fox with suspension. It would have been the first time an ANC as a whole had been barred from government contracting. The audit findings, Air Force investigation and lawsuits raise a fundamental question: Where was Cape Fox's board of directors when all this was going on? Board members say they were taken in by Borup's confidence and the dramatic rise in revenue. "In my opinion, the CFC board was completely misled by Mr. Borup," Clifford Blair wrote in the statement to Air Force investigators. "He used the fact that he was bringing money back to a company that was in dire need of it and lies and misrepresentation of the facts to lead the CFC board around where he wanted the company to go." But long before 2008, there were clues of what might lie ahead. As the board considered hiring Borup in late 2002, an adviser checked his references. Listed in the notes praising him for being a "dynamic presenter" and a "real go getter" were criticisms: "Bruce doesn't keep all his ducks in a row." His paperwork "leaves much to be desired." "He doesn't always pay attention to his primary job because he seems to have so much else going on." The board wrote Borup a letter emphasizing the need for better communication and reminding him of the corporation's values. It said board members remained confident in his leadership. The board kept Borup on, and Palmer eventually resigned. At the end of 2005, as Borup's contract came up for renewal, board members had questioned the focus on growth instead of profits. They wanted to hear more about the subsidiaries, board chairman Albert White said in a statement to Air Force investigators. "The board felt stuck," White wrote. "When the board discussed its frustration at the table, Dr. Borup would give just enough information to keep the majority at bay." According to a research paper co-authored by one of Borup's former university colleagues, the board confronted him in late 2005 at a meeting Borup described as "terrible." He said he offered to resign but was persuaded by board members to stay. This led to conversations about "how they needed to let me be a CEO," he said, according to the paper. The Cape Fox board ultimately persuaded Air Force officials that the problems it had suffered were mostly the fault of Borup and the subsidiary managers. In February, Cape Fox entered into a three-year administrative agreement with the Air Force that would allow it to continue contracting under close supervision. Borup's suspension was lifted in June. The corporation hired a new CEO, Mike Brown, the man credited with convincing the SBA to open the set-aside contracting program to native corporations in the 1980s. He also helped build two other ANCs into contracting powerhouses. Cape Fox showed a profit in 2009 of $3.5 million, and was able to pay dividends out of contracting profits for the first time. Through the Borup years, Cape Fox had paid dividends -- but the money came from a savings fund set up by the previous CEO. Marilyn Blair, a former board member who unsuccessfully battled with Borup early on, is disappointed that Cape Fox doesn't also have a new board. She believes that the board majority, which includes her brother Clifford and White, the chairman, rubber-stamped Borup's proposals and ignored skeptical board members. One of the few people who got a job with Cape Fox's contracting subsidiaries, she noted, was its chairman. According to a board document, White earned $60,000 last year as manager of special projects for NLCF, a Cape Fox construction firm in Alabama. "They had every opportunity to find out what was going on," Marilyn Blair said. "In fact, they voted for whatever Bruce wanted. In my opinion, it's not just Bruce Borup's fault; it's the leadership of the board." Clifford Blair declined to comment when contacted by ProPublica. White didn't return phone calls. One of the board members asking questions was Kathy Milton, a Cape Fox shareholder from the state of Washington who joined the board in 2007. She had heard Cape Fox was having trouble paying its bills and tried to learn about the 8(a) program. But Milton said she was rebuffed when she asked board leaders for basic financial documents. In general, the board behaved as if Borup was its boss, Milton said, adding: "They allowed Mr. Borup to be a one-man show." At the time, Borup was making $150,000 a year and in 2008 was awarded a $174,000 bonus -- small compared to other ANC executives who often earn base salaries of $300,000 and occasional bonuses in the millions. Some board members wanted to give Borup a 10-year contract, entitling him to a larger package of incentives, according to interviews and documents from the Air Force investigation. Unable to get answers from Borup or the board leadership, Milton said some members tried to call the SBA for help but were turned away, told by SBA officials in Alaska that they would deal only with the CEO. She said they called the Alaska Division of Banking and Securities, which investigates complaints involving larger ANCs. But regulators there said they had no jurisdiction because Cape Fox has fewer than 500 shareholders. SBA spokeswoman Hayley Meadvin said that the agency does provide training but doesn't become involved in internal management disputes. Milton said that was a serious mistake. "No one ever sat down and said, this is what you do," she said. "When the board wanted help, they should have been there to educate us. They should have made the information available to us." Looking back, Peter Gigante, the Cape Fox CEO before Borup, remembers being skeptical about 8(a) contracting. Something just smelled fishy to him about the program and he worried that Cape Fox would be used as a front man with few benefits coming back to the corporation. "Unfortunately," he said, "Cape Fox is a poster child for how these 8(a) corporations can be taken advantage of and abused." Jennifer LaFleur, ProPublica’s director of computer-assisted reporting, contributed to this story. Thank you for your response to the stories we published today in USA Today and at ProPublica. We want to assure you that we fully considered your 12-page letter in preparing these stories. Early on, we also reviewed the research papers and fact sheets that NACA has posted on its website, along with all the other research that has been done over the years by government auditors, congressional investigators and academic researchers. However, they did not address the specific questions we had for this story relating to why profit hadn’t kept pace with the soaring revenue and why most native shareholders receive less than $500 a year in dividends. In all, we reviewed more than 3,000 pages of annual reports, court records and other documents. We also posted your 12-page response on our website so readers could see it. Prior to publication, we contacted you several times offering to show you our research and to speak at length about our findings. But you declined to talk on the telephone or in person at your offices in Washington, D.C. The situation you detail in your response to the story is the reverse of what actually happened. We repeatedly offered to provide you with more information, and when we asked for the data supporting claims in NACA’s 12-page fact sheet, you declined to provide it. Not only did we advise you of key findings, but we also informed you of our sources so you could check it with your members. "I'm happy to provide more information about our analysis for you. The data we used comes from the annual reports for the ANCs. The methodology wasn't complicated. We just charted the revenue and net income and calculated a percentage increase. The dividend information was also reported by the ANCs in their annual reports, proxy materials or on their websites. I have also reviewed the material you sent and read all the studies that NACA and others have done at the beginning of my research. As I mentioned at the outset, I would like to have a full discussion with you over the phone about our findings and to compare notes on the research your organization has done." We afforded you every opportunity to respond to our specific questions, but you chose not to answer them. Do you have information or expertise relevant to this story? Help us and journalists around the country by sharing your stories and experiences.